I am assistant professor at the Dept. of Computer Science at the Facultad de Ciencias Fisicas y Matematicas of the Universidad de Chile. I've got my Ph.D. from the Dept. of Computer Science of the U. of California, San Diego (UCSD). Previously, I received an Engineering in Computer Science degree and a B.Sc. from the Dept. of Computer Science at the Universidad de Chile. Applied cryptography: in particular, cryptographic protocols for distributed systems, such as evoting, anonymity systems, blockchain technologies, privacy-preserving protocols, and secure multiparty protocols in general. In general, I am interested in notions, tools, systems that preserve privacy in the digital world. Computer and Network Security (a.k.a. cybersecurity), vulnerability and threat detection via darknets and active network scanning, and malware analysis and prevention. Public policies on privacy and computer security. I currently serve as Director of the CLCERT, the Chilean Computer and Emergency Response Team and Computer Security Research Group. I also collaborate with NIC Chile Research Labs, and participate in the Instituto Chileno de Derecho y Tecnologías, as well as the Alianza Chilena en Ciberseguridad. Part of my work is supported by a grant from NIST/ITL 2016-NIST-MSE-01 Measurement Science and Engineering (MSE) Research Grant Programs, NIST Information Technology Laboratory, Dept. of Commerce, USA, 2016-2018. Part of my work is supported by the project "Enabling Resilient urban Transportation Systems in Smart Cites (RETRACT)" headed by Sandra Céspedes and where Cesar Azurdia, Claudio Estévez (from DIE), and me will participate, via an ERANET-LAC grant (Nov. 2016). Previously, by a grant from Conicyt via REDES 140219, "CEV: Challenges in Practical Electronic Voting" (via INRIA Chile) 2015-2016. Previously, I was supported in part by Conicyt via Fondecyt No. 107033, and INRIA Chile. Latincrypt: International Conference on Cryptology and Information Security in Latin America. Spring School on Networks (SSN 2016), ACM CCS 2016, 8.8 Computer Security Conference (2016), Asiacrypt 2016, PETS 2016.2, IFIP SEC 2016, Latincrypt 2015, ISPEC 2015, PKC 2014, CANS 2013, Latincrypt 2012 (co-chair with Gregory Neven), The Sao Paulo Advanced School of Cryptography (SP-ASCrypto) 2011 (Campinas, Brazil), JCC 2011, IFIP SEC 2011. Inscrypt 2010, Latincrypt 2010, Amparo Taller 2010 (Santiago, Chile), IDMAN 2010, FIRST TC 2009 (local organizer), Inscrypt 2009, LADC 2009, Secrypt 2009, CIBSI 2009, Secrypt 2008, LATIN 2008, ISC 2007, ACNS'07, LATIN 2006 (co-chair with Marcos Kiwi and José Correa). "El Camino a la Votación Electrónica Segura en Chile", en Conversatorio "Ciberseguridad, Estamos Preparados?" (video [0:24min], PDF), Senado de Chile, 6 de Julio 2018. Criptomonedas y Tecnología, Jornada Temática "Criptomonedas: Oportunidades y Desafíos desde tres perspectivas", at the Comisión de Hacienda, Cámara de Diputados. May 15, 2018. La Ingeniería Inversa y su Rol en la Seguridad Informática (in Spanish), March 2008. Why reverse engineering is good for security. "Gran promo: Todas tus compras gratis (las endosas a otro cliente con sólo usar su RUT)", OWASP LATAM Tour 2018, (Vulnerability in mobile payment system of chilean bank) Joint work with Eduardo Riveros. Apr 25, 2018. Appeared in El Dinamo, Cooperativa, CNN Chile (at 1:50). Alonso Gonzalez (2017, Succint NIZK). Now at Crypto Group within the AriC team, LIP laboratory, at ENS de Lyon. Philippe Camacho (2013, accumulators and secure distributed data structures) Now at Dreamlabs Chile. Mario Cornejo (2015, evoting), Now ph.d. student at ENS. Giselle Font (2014, location privacy) Now Site Reliability Engineer at Google. 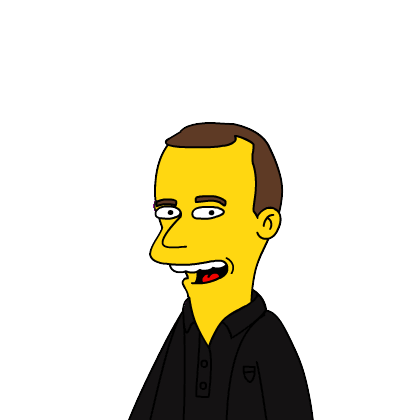 Fernando Krell (2009, distributed backup) Now at Dreamlabs Chile. 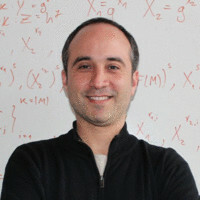 Francisco Echeverría (2008, flow-based distributed monitor). CC5324: Bitcoin y Criptomonedas (undergraduate, in Spanish). 2018. CC5301: Introducción a la Criptografía Moderna (upper-level undergraduate, in Spanish). 2019, 2016, 2014, 2012, 2010, 2009, 2007. CC5312: Seguridad Computacional (undergraduate, in Spanish) 2016, 2011, 2010, 2009, 2007, 2006. CC3102: Teoría de la Computación (undergraduate, in Spanish) 2017, 2015, 2013, 2012, 2011, 2010, 2009, 2008, 2007. CC1002: Introducción a la Programación (undergraduate, in Spanish) 2018, 2017, 2016, 2015, 2014. CC5310: Fundamentos de la Criptografía (graduate and upper-level undergraduate, in Spanish) 2011, 2008. 2008 (Computación Multipartita Segura y Aplicaciones). CC5317: Seminario de Votación Electrónica (undergraduate, in Spanish) 2013, 2017. CC5319: Informática Forense y Respuesta a Incidentes, (undergraduate, in English), local host, taught by Greg Gogolin (Ferris State U.) 2013. 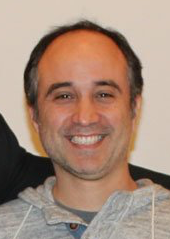 Director of the Chilean Computer Emergency Response Team (CLCERT), and founding member of the Applied Cryptography and Security Laboratory (CASLAB) of the University of Chile. Administration: Member of the CS Dept. 's advisory board. Administration: Outreach/Communications coordinator for the CS Dept. (2007-2009). Served as Chilean representative for the IFIP TC11 Group (2007-2009). CLEI representative to the IFIP TC11 Group. Tips for traveling around Chile: A short document grew out of questions from friends visiting Chile and around.